Memphis has many accolades from being named in the “Top 10 Places to Live and Work As A Movie Maker,” to being the city with the “Best Franchise In North America,” but that’s not all Memphis has to be proud of. 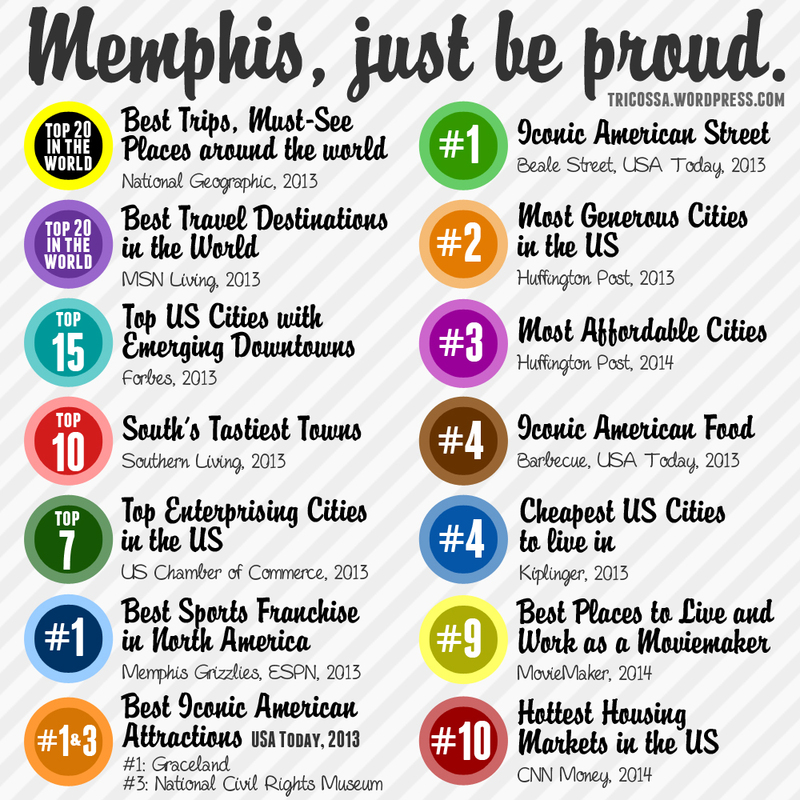 On the graphic, Memphis is shown in multiple nationally recognized lists such as “Best Travel Destinations In The World,” “Souths Tastiest Town,” and more. Memphis places #1 on a few lists including “Number One American Iconic Street” for USA Today, “Number One Best Sports Franchise In North America” in ESPN and more.